Natural Gas Services becomes part of the Airco family. 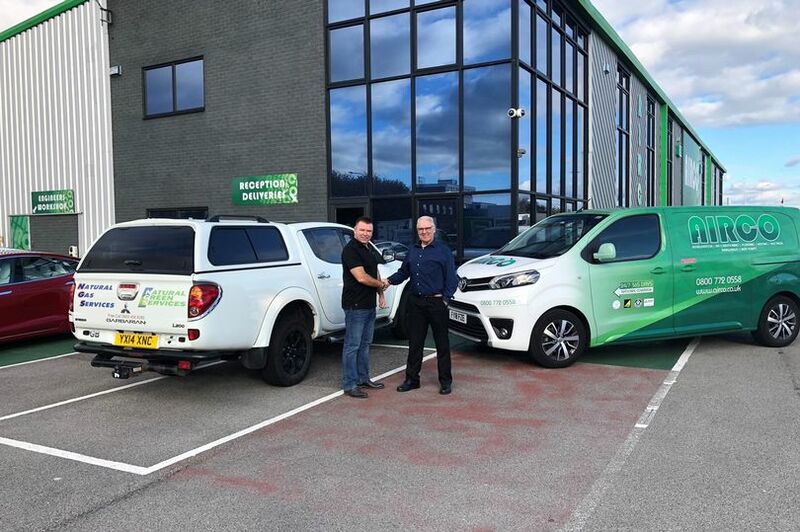 Leading Hull business Airco has added to its portfolio with the acquisition of a gas and heating specialist for an undisclosed sum. The refrigeration and air conditioning specialist has announced it has bought Natural Gas Services Ltd, based in Hedon Road, in a deal described as “a great move” for both parties. The buyout comes after Natural Gas Service’ founder, Roy Bailey, decided to retire after a long and successful career. The move enables Airco to extend its services into the commercial plumbing and heating sector, doubling its number of heating engineers to 12. Neil Fisher, founder and managing director of Airco, said: “I have known Roy for about 30 years and Airco and Natural Gas Services have worked together many times. “There are synergies between the two companies, particularly in terms of our values and commitment to service. “For Airco, the move has two advantages. Firstly, when we started, air conditioning and heating were two different disciplines. But as technology has advanced there is now a lot of crossover between the two, meaning we had a requirement for more heating engineers. Buying Natural Gas Services fulfils this requirement. “Secondly, by expanding our existing heating division, we are able to tender for and carry out more dedicated industrial and commercial plumbing and heating contracts, so the buyout will contribute to our existing growth plans. Airco Ltd, headquartered in Airco House, Goulton Street, was founded by Mr Fisher in 1991 and now employs 105 people at six locations, including Hull, Immingham, Leeds, Birmingham, Milton Keynes and Central London. Mr Fisher described Natural Gas Services as a ‘great fit’ for the Airco family as heating was now an integral part of air conditioning. He said the move enabled him to retain access to the skills and expertise within Natural Gas Services, which he had called upon many times before. Natural Gas Services was founded in 1995 by ex-British Gas engineer Roy and some colleagues. Based in Hedon Road, east Hull, it provides a full range of heating and plumbing services to industrial and commercial clients, as well as domestic clients and landlords. Founder Roy Bailey, who has been kept on as commercial heating manager to oversee the integration of Natural Gas Services into the group, said he was pleased his company had been bought by Airco, and believed they shared common values. “Natural Gas Services compliments Airco very nicely and will extend its position in the market place,” he said.